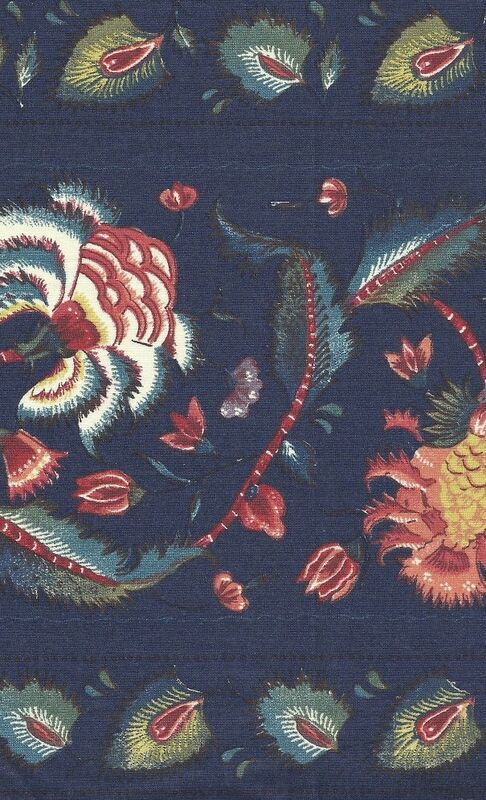 Collection Dutch fabric- design Willem Rudolf den Haan. 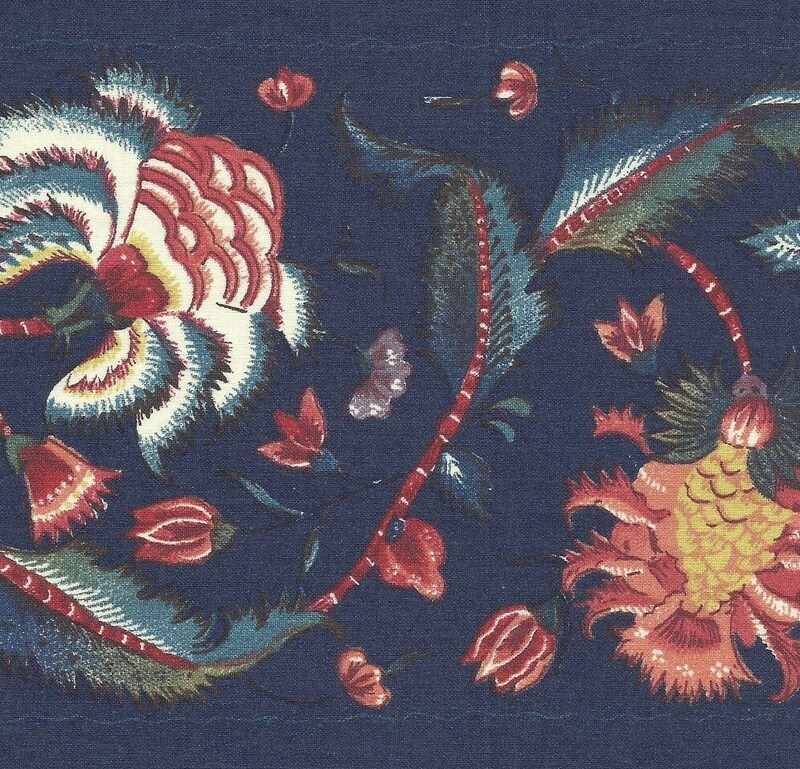 Dutch chintz fabric printed in the Netherlands using patterns from the 17th and 18th centuries. 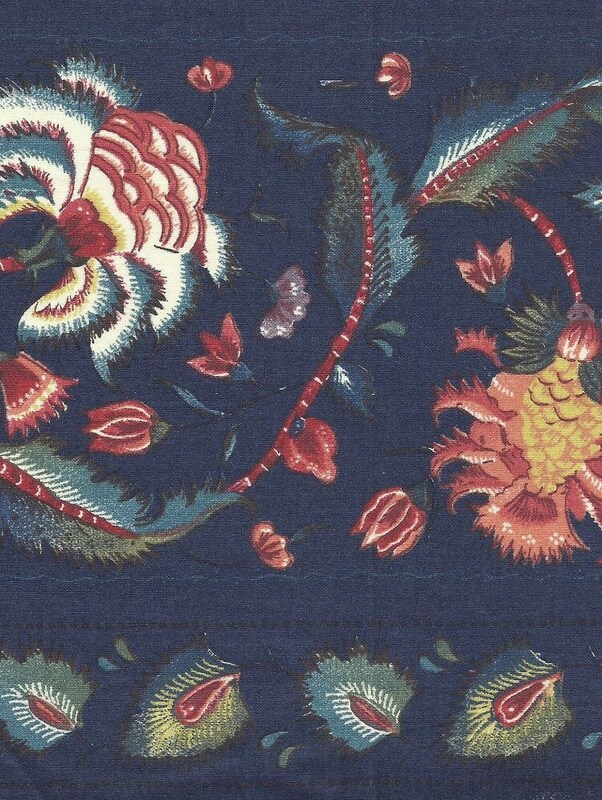 This fabric is genuine Dutch chintz, printed in the Netherlands. It has a light subtle glazed finish. Beautiful to use for hand applique or quilting. 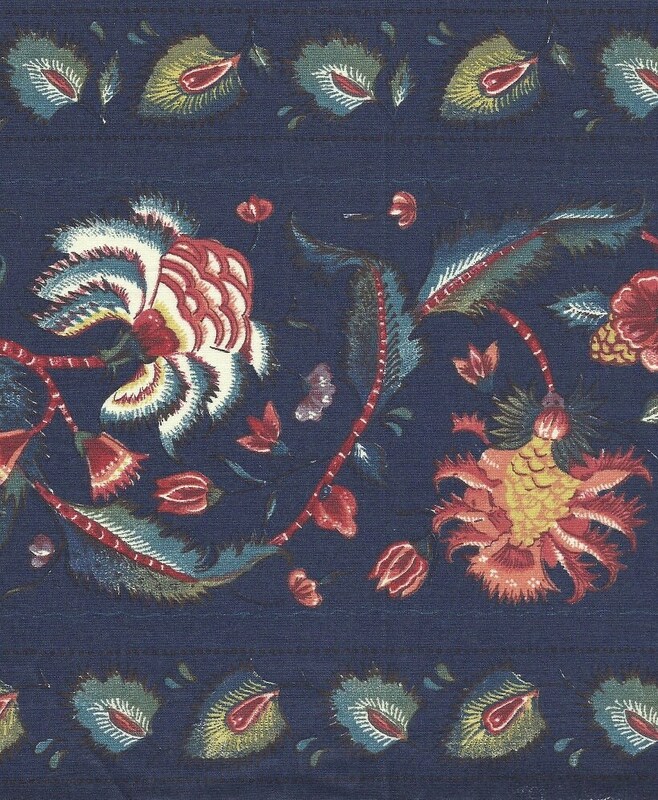 This listing is for a half (1/2) yard length/strip of border fabric - 8 1/2 " wide. Middle wide border is 4 1/2" with a narrow 1 1/2" wide border on each side. Purchases of multiple yards can be cut as a continuous length.